Sandra Thompson Williams is a native of St. Louis, Missouri. She received her bachelor's degree in communication from St. Louis University and worked more than fifteen years in public relations for educational institutions. She currently works for the St. Louis County Library. A praise and worship leader at her local church, Sandy enjoys music that reaches the heart of the Father. In 2012, she released her first CD project titled Songs of Deliverance. She is the author of Eating the Fruit of Lies and Even Better than Aunt Harvey's Greens. 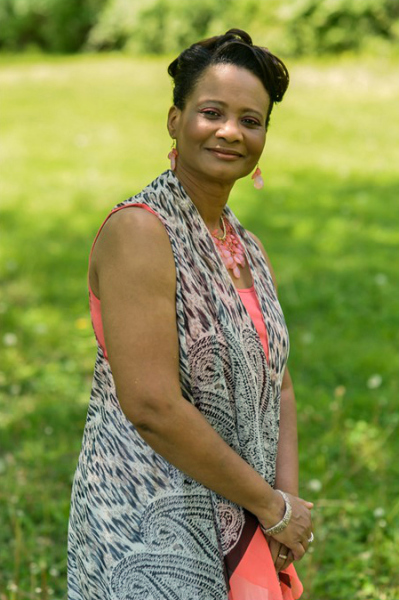 She is co-author of Ye Shall Receive Power: The Spiritual Life of Vera Boykin and her most recent novel, The Invocation. Married for twenty-nine years, she and her husband Leon reside in Florissant, Missouri. They have three children, Leon, Camille, and Ryan; and two grandchildren, Dominic and Tailor.